A wise man once said “If Bengali cuisine were Wimbledon, the hilsa would always play on Centre Court.” And he could not have been more accurate in describing what this fish means to Bengalis and Bengali cuisine. 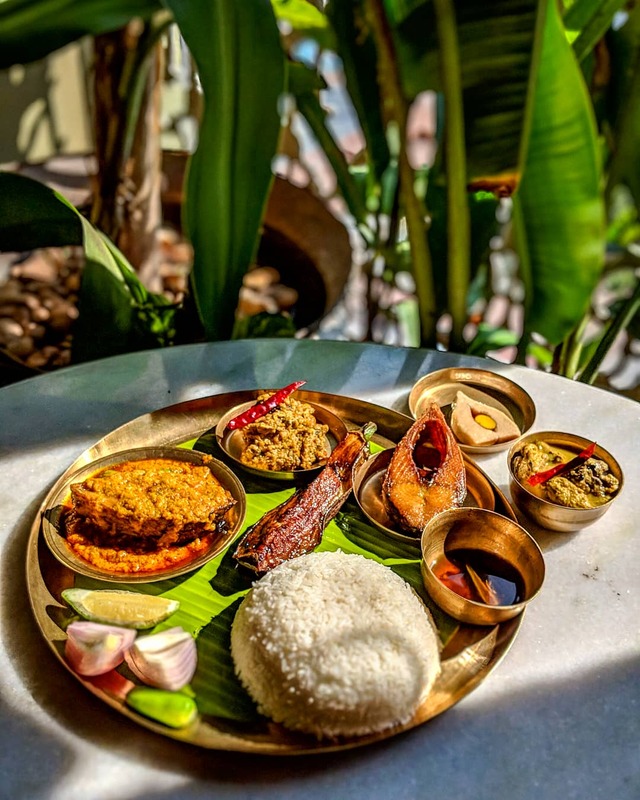 Every year, during Hilsa season, the city is swamped with Hilsa festivals that take place in practically every hotel and restaurant serving Bengali food. 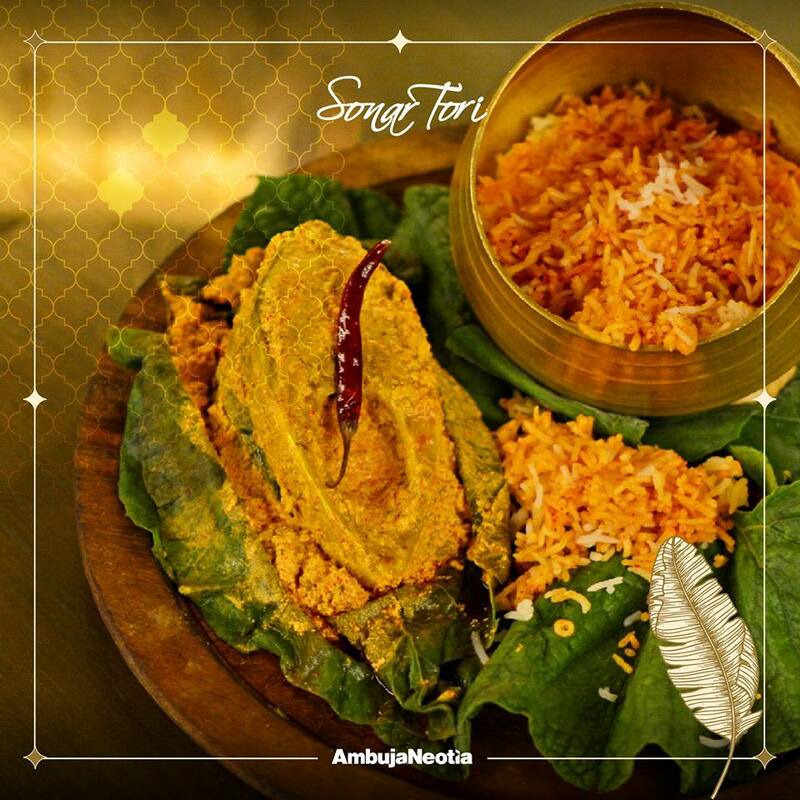 This year, I could go to only one of them – Sonar Ilish at the newest Bengali restaurant in Salt Lake, Sonar Tori. The place was on my wishlist for a long time and this festival seemed the apt time to pay a visit. 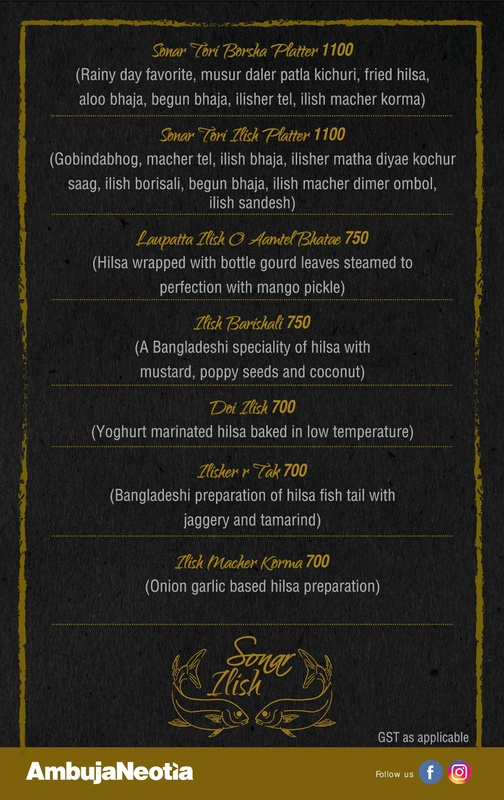 The menu is the brainchild of Bhaskar Dasgupta, Executive Chef of Sonar Tori and the name Sonar Ilish celebrates the irresistible combination of Hilsa and Shorshe (Mustard paste), which is used in most of the dishes in the menu. 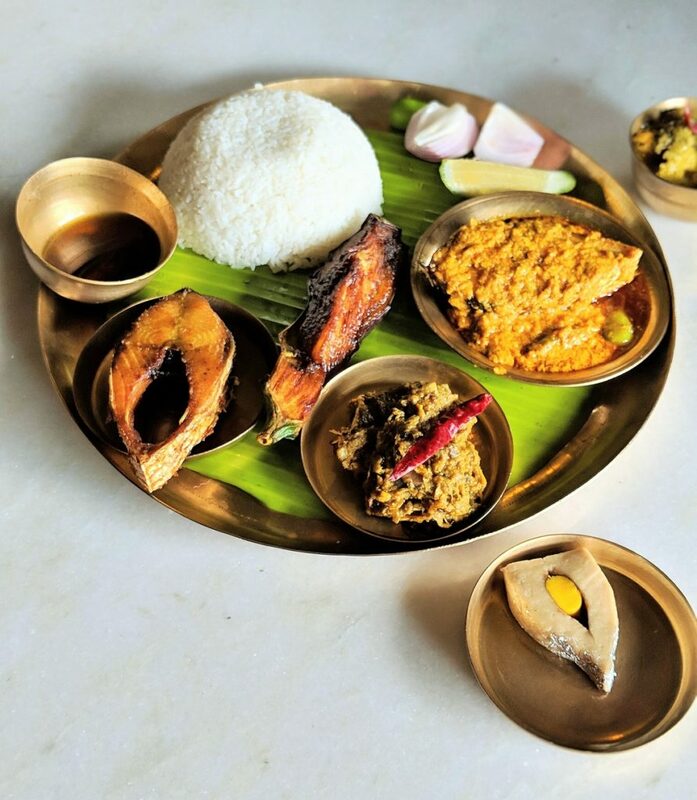 The festival is on till 2nd September and what is special about it is the availability of a variety of both East Bengal and West Bengal Hilsa dishes. There is an option to choose from either of two platters or à la carte. 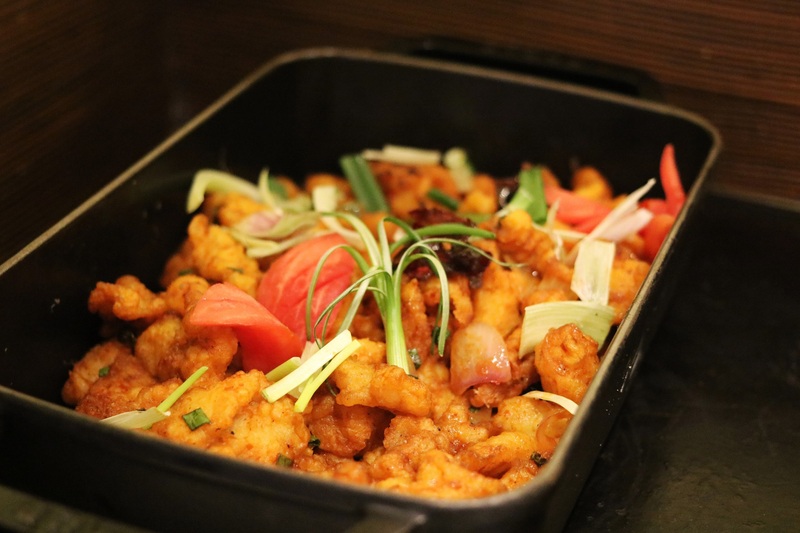 The platters are priced at Rs 1100++ and the à la carte dishes range from Rs 200 – Rs 750++. When it comes to Hilsa, it is very difficult to choose a favorite but there is one dish that I have loved forever and that is Doi Ilish or Hilsa with yoghurt. When I saw that in the menu, I could not resist myself and placed an order for it and what came in front of me was perfection. 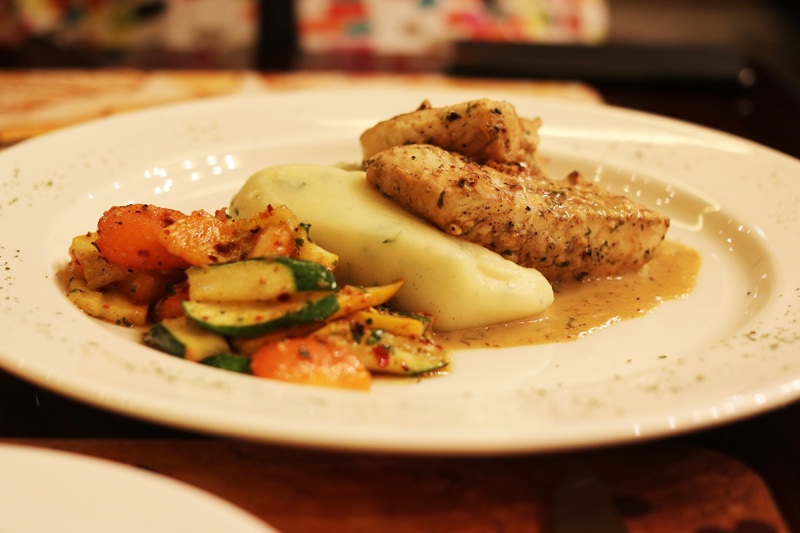 A soft, perfectly cooked piece of fish in a yoghurt sauce that balanced the flavour of the Hilsa without overpowering it. I also wanted to try something unique hence went for Laupata Ilish O Aamtel Bhaate which is Hilsa wrapped in bottle gourd leaves and steamed with mango pickle. The dish is served with rice and the pickled oil and with the fish, makes for a deadly combination. If you don’t mind your fish to be slightly tangy, definitely order this one. 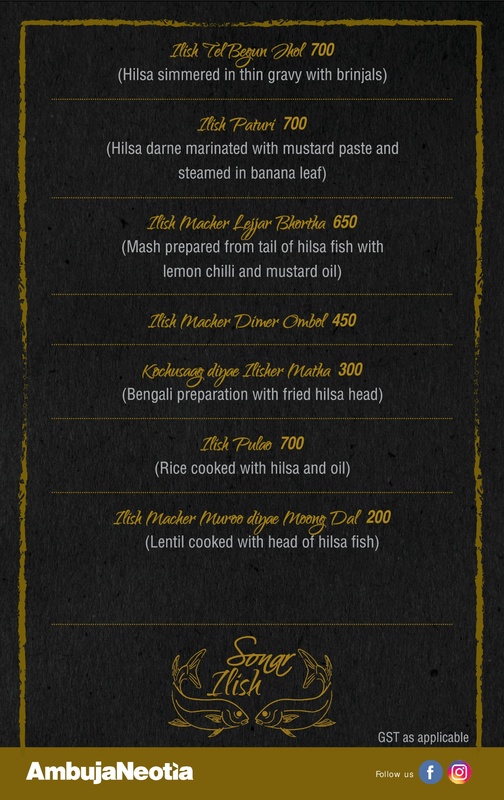 As with its regular menu, the Sonar Ilish festival aims at reliving the culinary pleasures of old Bengal. You have time till 2nd September to go and romance the fish that is nothing less than a cultural icon to people of two countries. P.S – I was invited by the management to the restaurant. The pics with the watermarks are courtesy Ambuja Neotia. 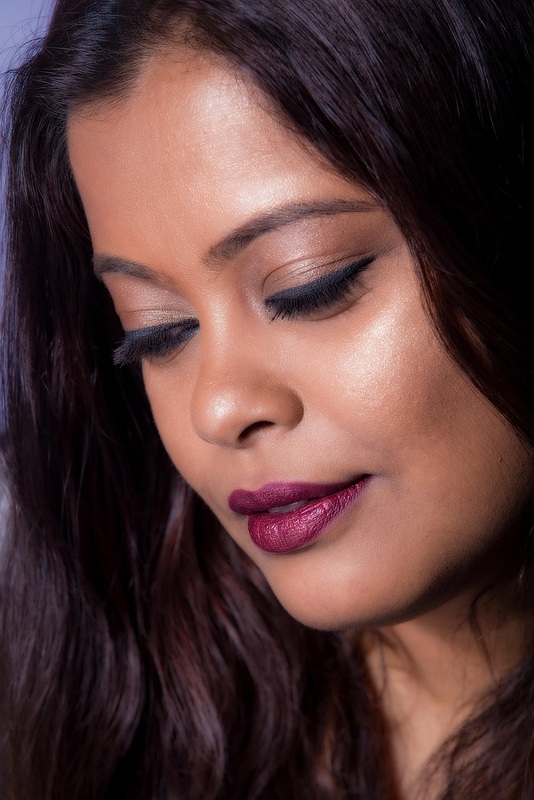 Why Serafina 2.0? Because the city’s favourite Italian restaurant and the place where you get the best Tiramisu is back in a new avatar at Quest Mall. Serafina 2.0 has a new decor, new seating arrangement and a menu that includes some old favourites and new dishes that are sure to become favourites soon. The place looks completely different now and I must say I like this decor much more than the earlier one. A red brick facade, roman arches, earthy colours and an open-seating plan make up the new Serafina. It looks much more brighter, cheerful and welcoming. With the new seating, one can get a clear view of the semi-open kitchen and the oven that churns out the restaurant’s signature pizzas. The al fresco area now has a coffee zone and the bar has expanded to accommodate an open display of an extensive wine collection. Coming to the food. Fret not, the menu has retained some of the old favourites like the truffle pizza, baby lamb chops, risotto al porcini etc. 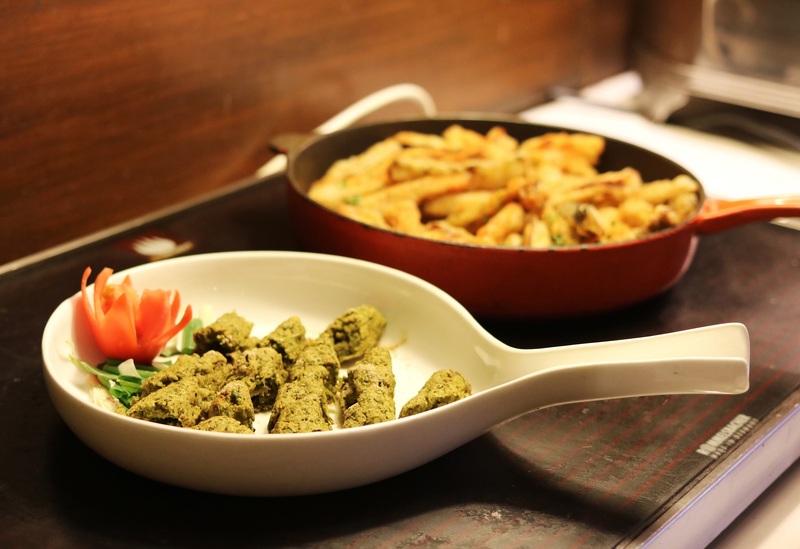 What is new is a Chef’s Special Menu divided into soup, salad, veg and non-veg appetisers, pizza, pasta, veg and non-veg main course and dessert sections. On the new menu, each dish has a distinct flavour. 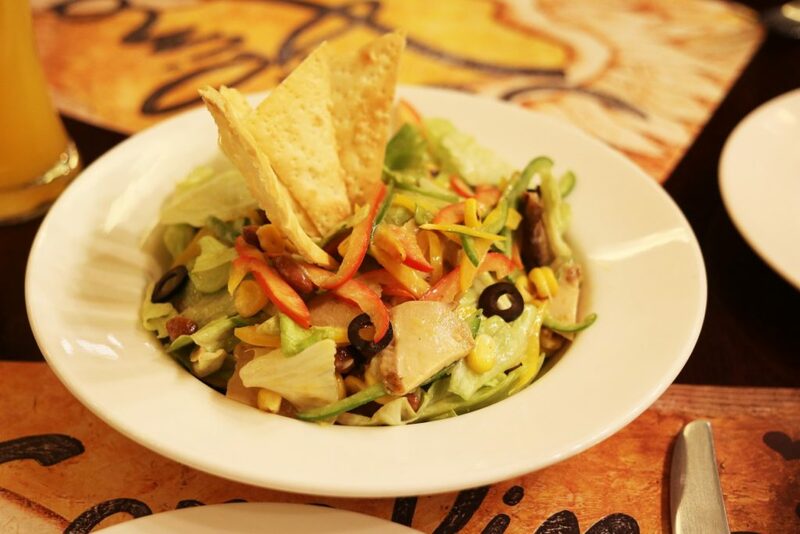 The Insalata Pollo Grosso is a simple salad with grilled chicken breast, kidney beans, roasted corn, iceberg lettuce with mustard dressing. 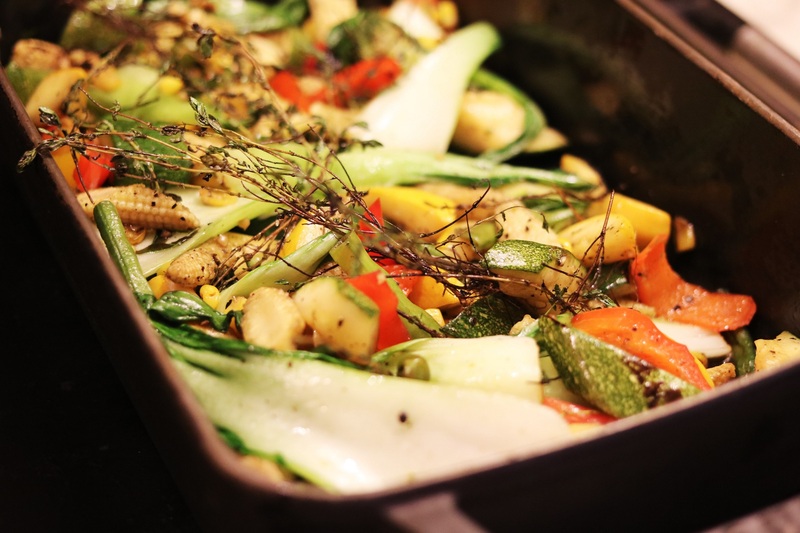 The slight sweetness with the mustard dressing and the crunchy veggies make for a perfect start to the meal. 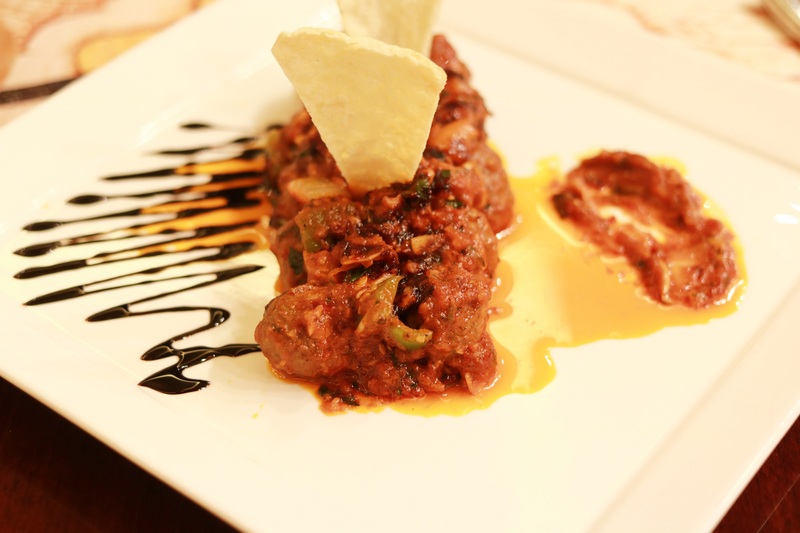 If you are fond of pork and beef, I will recommend the Crostini di Chorizo (slices of french baguette, gratinated with mozzarella & topped with slices of chorizo) and Polpette Di Manzo Piccanti (minced fillet Mignon dumplings with bell pepper in tangy sauce). 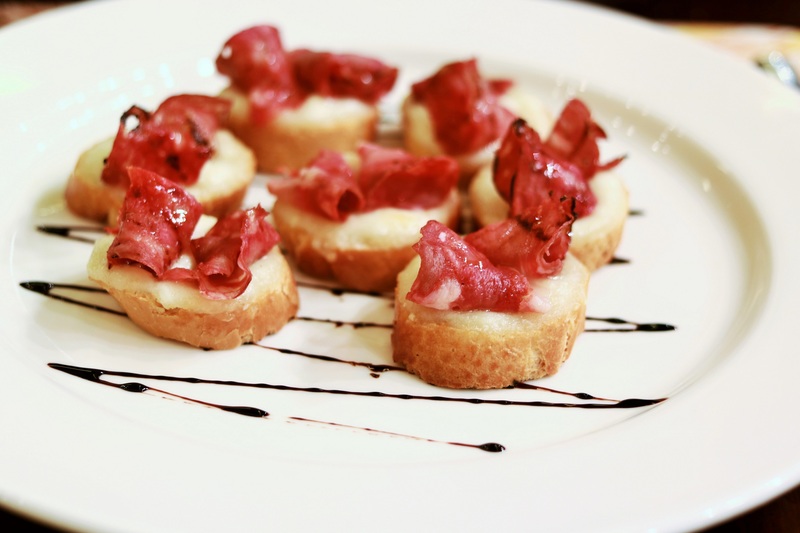 The taste of chorizo comes out beautifully with the crostini and the filet mignon is soft and tender. 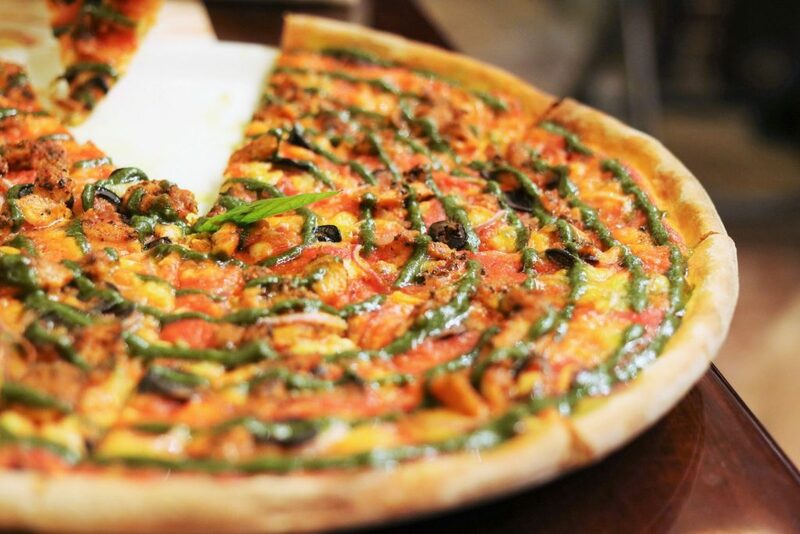 Serafina pizzas have always been brilliant and the one I tried is aptly named Paradiso. 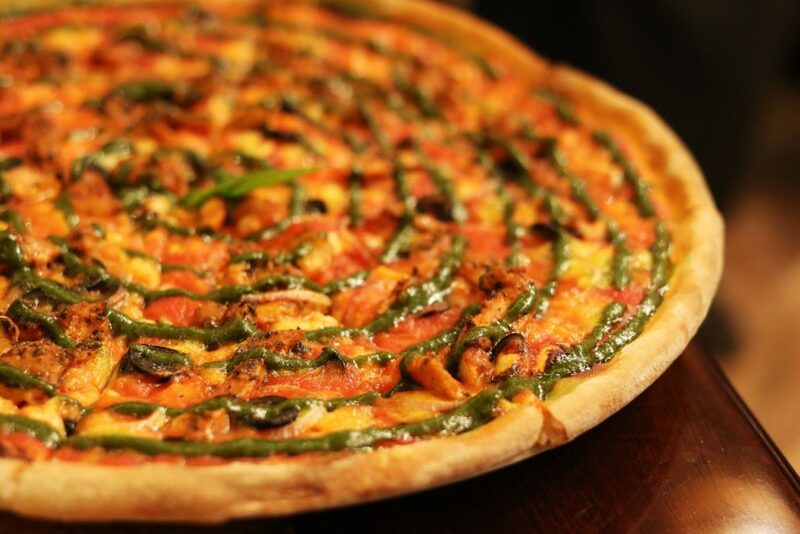 The toppings are chicken, olives, onions, mozzarella with basil pesto and tomato sauce and the base is a slightly crispy, thin crust. What is Italian food without pasta? 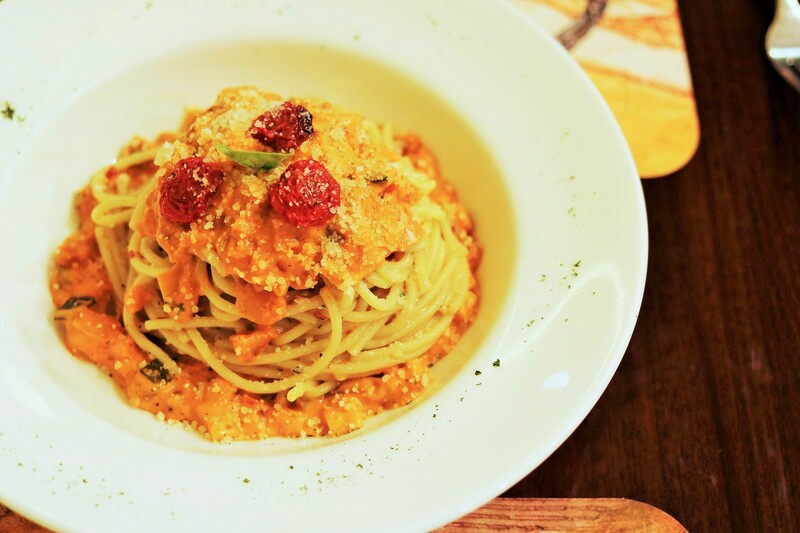 I tried the Cremoso Spaghetti Calabrese or Spaghetti in tangy, homemade pink sauce with seasonal greens, olives and aged parmesan. This is the perfect Italian comfort food and I did not miss the addition of meat in it. For fish lovers, the Pesce E Mostarda Salsa or pan fried bhetki with parsley mashed potato and creamy mustard sauce can be a good option. I found it to be too mild for my taste. Enough has been said about the famed Serafina Tiramisu so I’m not going to tell you again how beautiful it is. What I will say is that the Tiramisu has found a worthy competitor in the Choco Hazelnut Crème Brûlée. This dish is like heaven in a ramekin. Think of the creamy, hazelnut filling in a Ferrero Rocher praline. 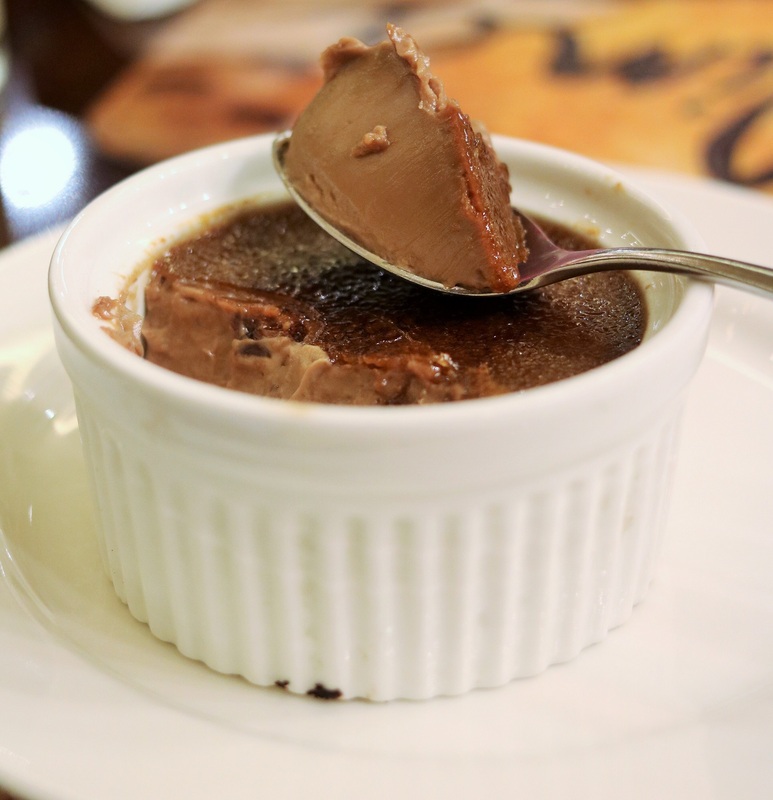 Now think of that same filling as a delicious, smooth Crème Brûlée. Yes, it is that good and you must try it. Absolutely must! The Westin Kolkata Rajarhat, a towering 32-storey property located opposite Eco Park with 314 rooms and suites is now open. I was there a few weeks back for a bloggers meet at Seasonal Tastes, the all-day diner and this post is all about my experience. Seasonal Tastes is located on the 10th floor and the first thing I noticed after entering is the sheer size of the restaurant. It is huuge! 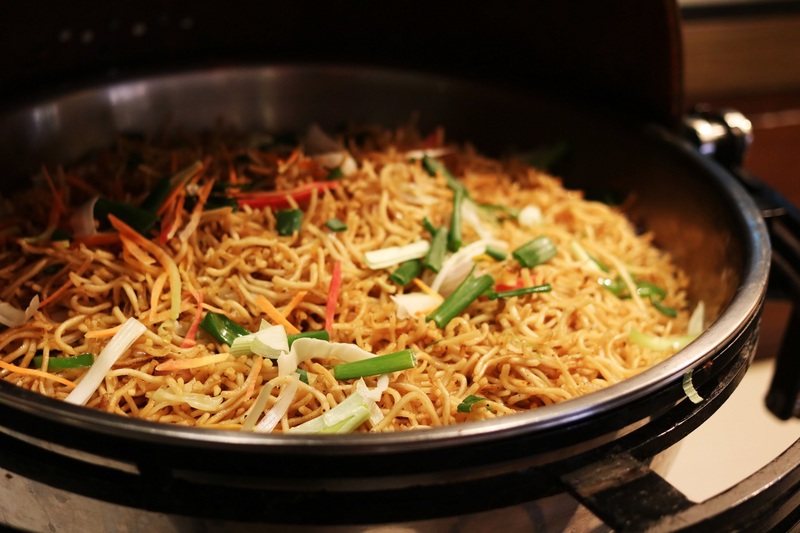 There are two live food stations that offer Asian and European fare. The buffet spread practically covers the entire expanse of the restaurant. 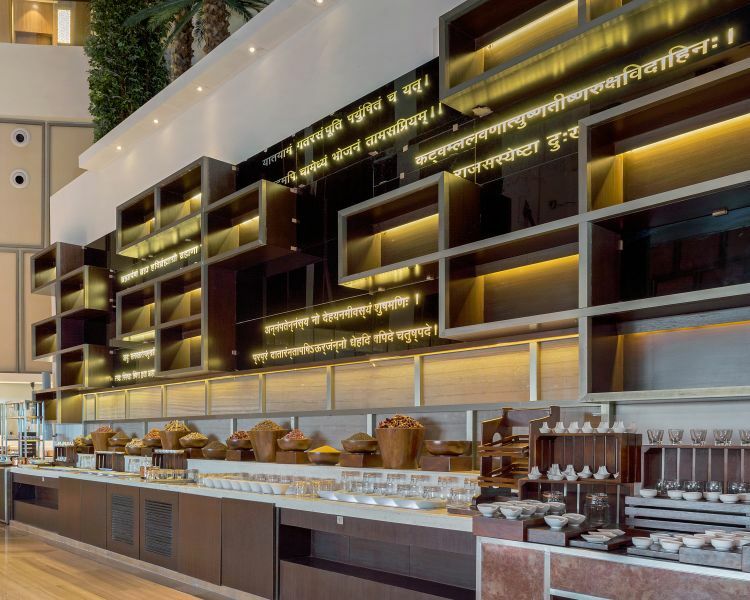 There are separate stations for salads, cold cuts, cheese, chaats, vegetarian and non-vegetarian starters and main course in Indian, Oriental and Continental cuisine. 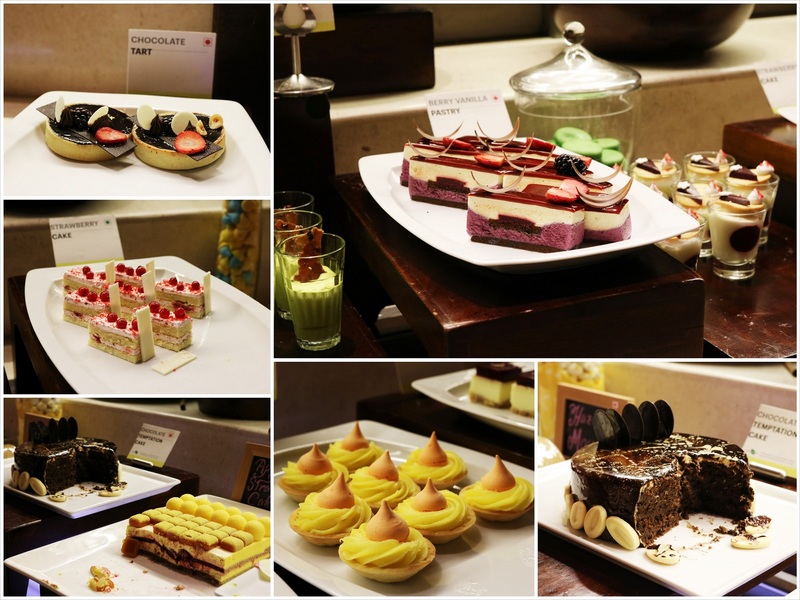 What was most exciting for me was the desserts section packed with Indian and Western sweets, cakes and other delicacies. 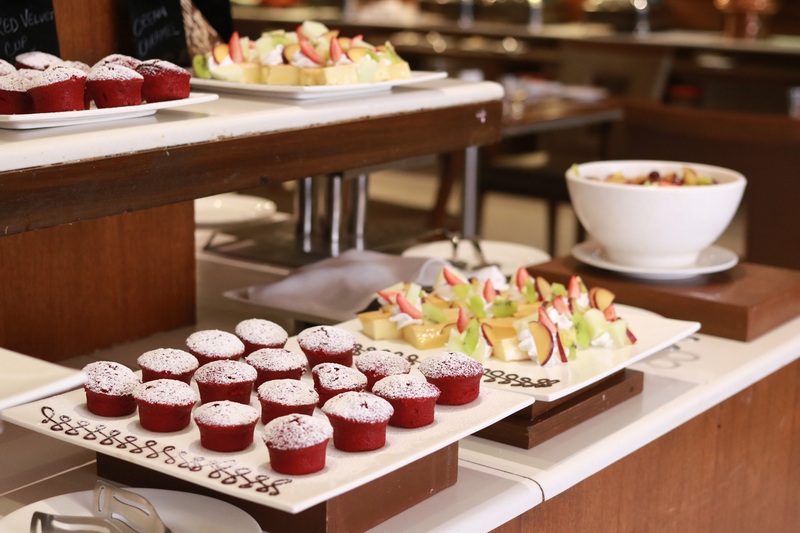 Seasonal Tastes also offers the Eat Well Menu for children and the Westin signature SuperFoodsRx breakfast. 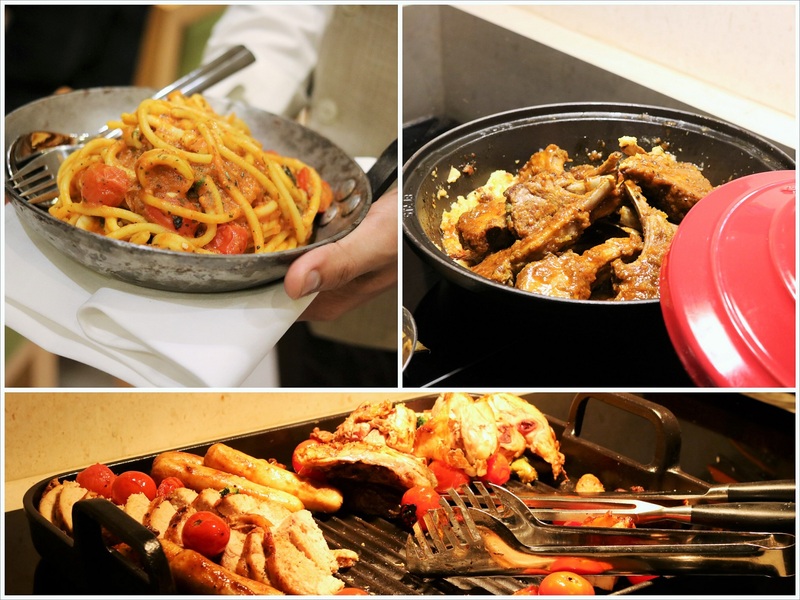 At the bloggers meet, we tried out dishes from both the a la carte menu as well as the buffet. I started off my meal with the Green Curry and Pumpkin Emulsion with Tom Kha Foam from the a la carte menu. When I was asked what I was having, I could not decipher the flavours and was extremely surprised when I was told that it was pumpkin. It was rich, thick with coconut flavour and rather comforting on a cold day. Two other dishes I quite liked were the Seafood Pasta with Saffron Seafood Sauce and the Lemon and Parsley Risotto. From the buffet, I would recommend you to try out the non-veg kababs, the biryani and lamb shanks. 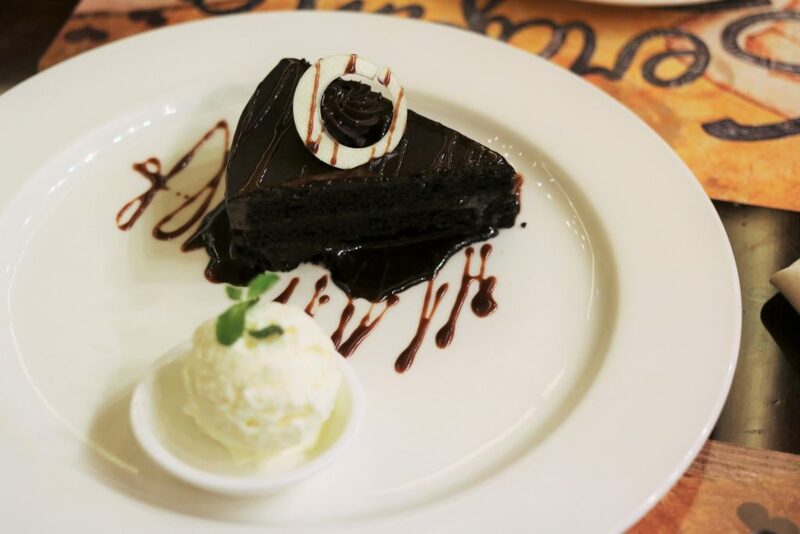 For dessert lovers, the dessert section is a dream and I especially loved the Chocolate Temptation Cake and the Chocolate Tart. 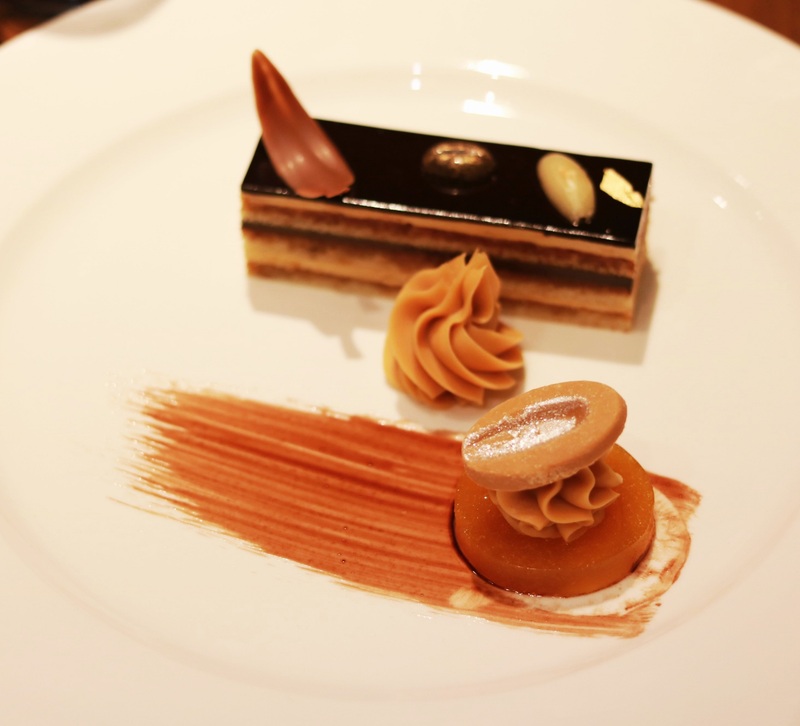 However, if you really want to indulge in something special, order the Classic Opera from the a la carte menu. A delicious medley of chocolate, coffee and caramel! 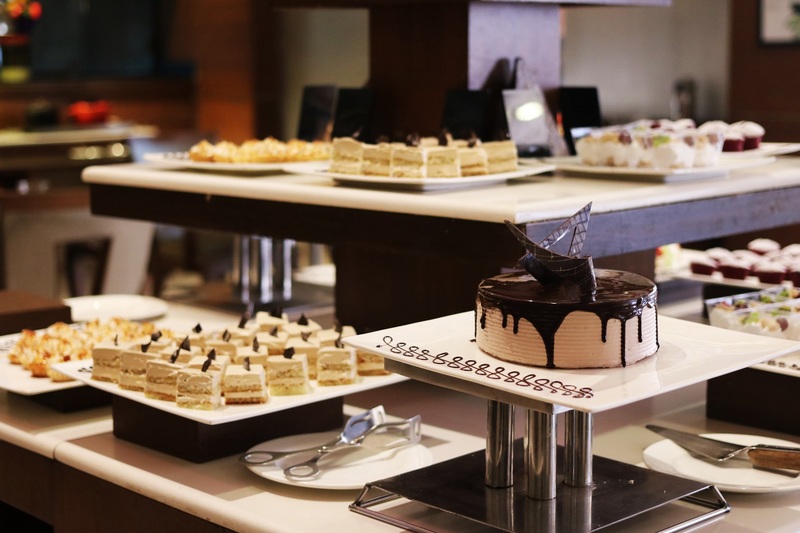 They are currently offering a 20% corporate discount on Lunch Buffets on weekdays. At work and you decide to go out for lunch with your colleagues? 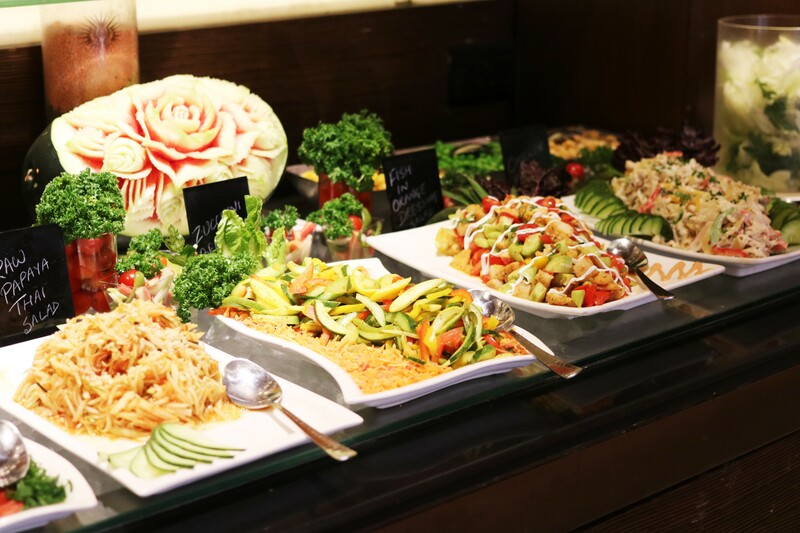 Out with your family or friends and want to go somewhere for a lavish buffet at a reasonable price? You now have a great place to go to. 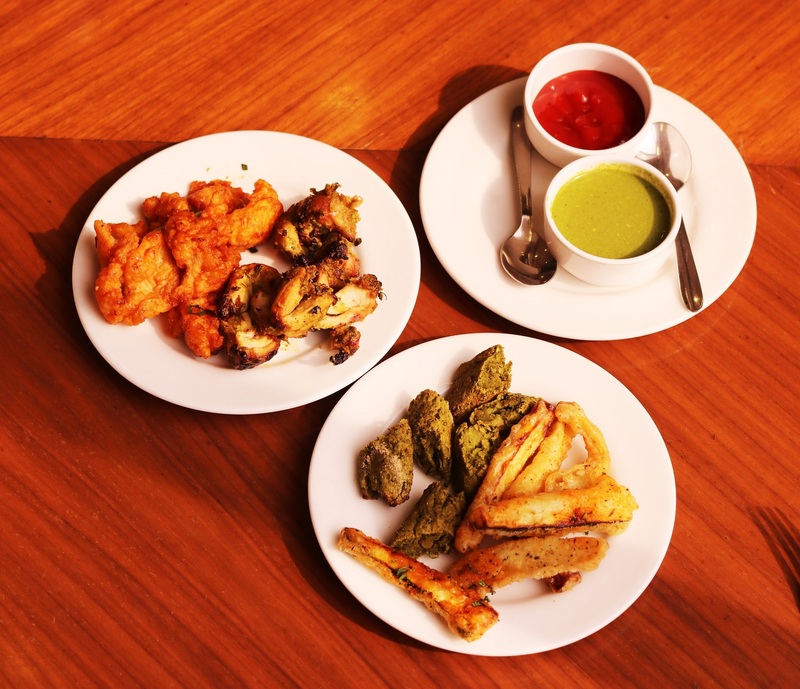 Hotel Hindusthan International has launched The Corporate Buffet for only Rs 999 including taxes! 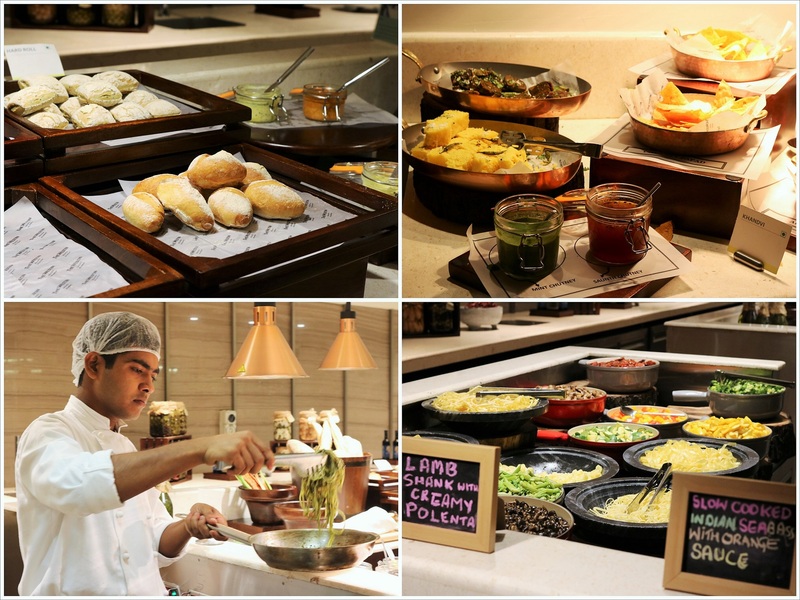 The Corporate Buffet is on everyday from 12 pm to 3 pm at Mythh and at the price, the spread is very good. Starting with a variety of veg and non non-veg soups and salads, followed by starters, main course and desserts, the options are endless. 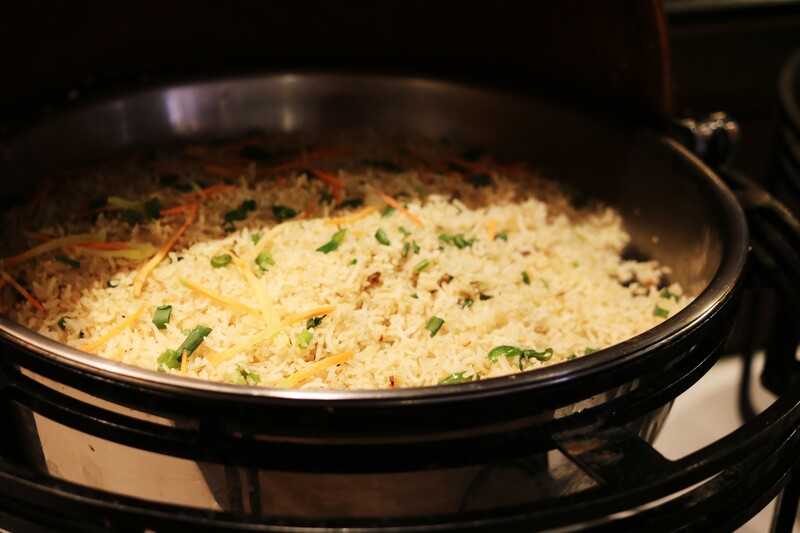 Plus, you get to choose from Indian, Chinese and Continental food. I went to try The Corporate Buffet last week and was seriously impressed. 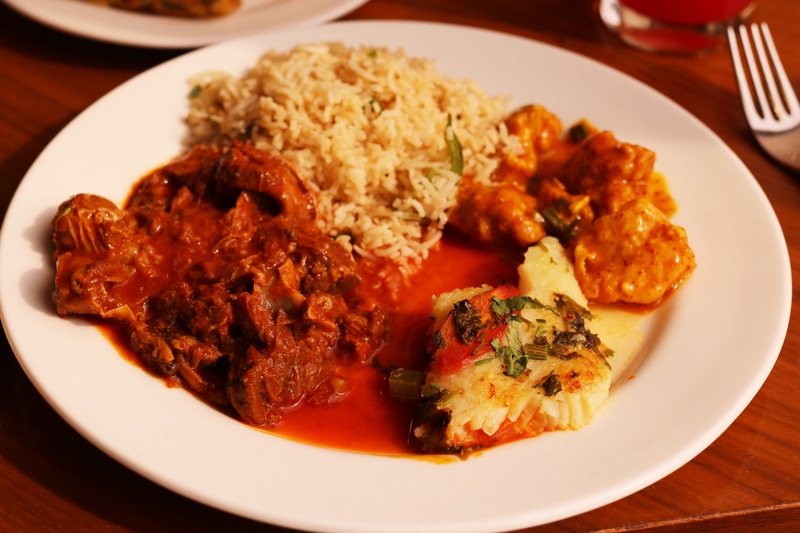 The food will obviously keep changing everyday but I do hope in the mains, they keep the Mutton Vindaloo, Poached Fish and Chicken in Mustard Sauce as regulars. The mutton was incredibly soft and tender and had the right balance of spices and so did the Chicken in Mustard Sauce. The Poached Fish was moist and full of flavour. 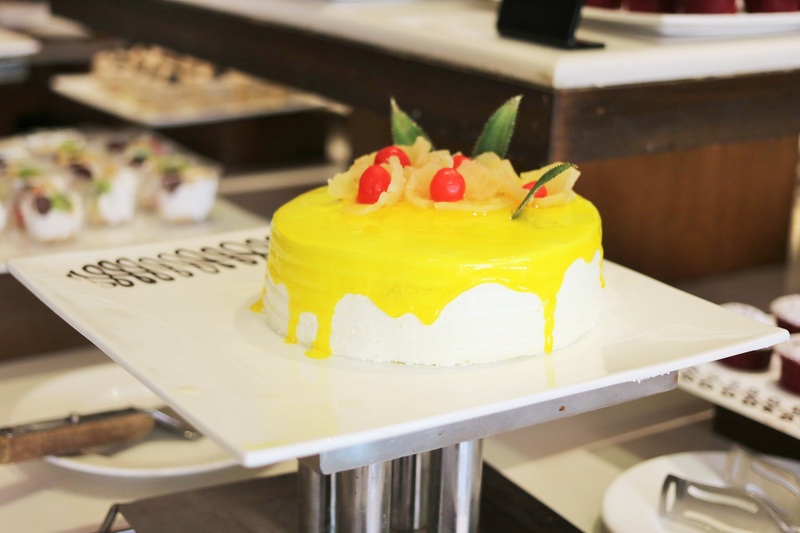 For me, a buffet is incomplete without good desserts and even in that dept, HHI scored. I loved the cakes especially the Red Velvet Cake and the Caramel Pudding. 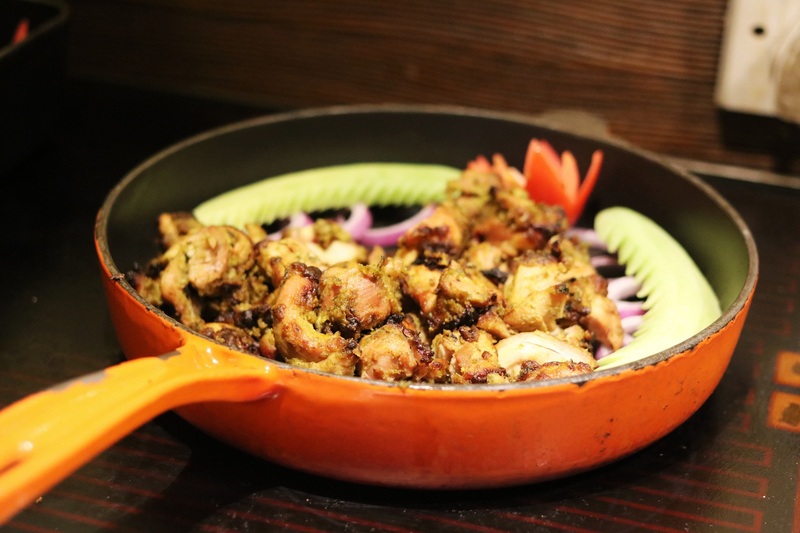 When Monkey Bar opened in Kolkata a year back, chef Manu Chandra had come down and I remember, at the bloggers preview meet, one question that practically all of us asked him was “When are you bringing The Fatty Bao to Kolkata’? His answer was “Hopefully soon’. One year down the line, The Fatty Bao, opens its doors on December 4th. 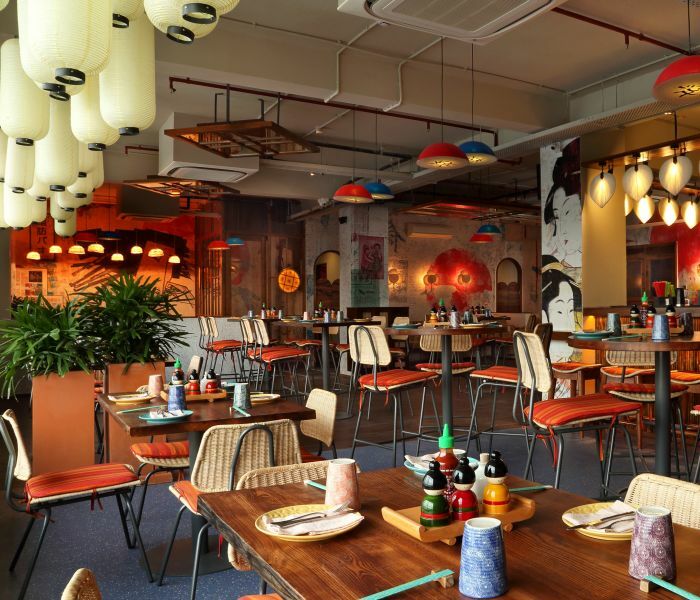 Located on the 8th floor of Fort Knox, Camac Street, the 75-seater restaurant promises a vibrant izakaya or Japanese gastropub experience along with a noodle-shop inspired menu. 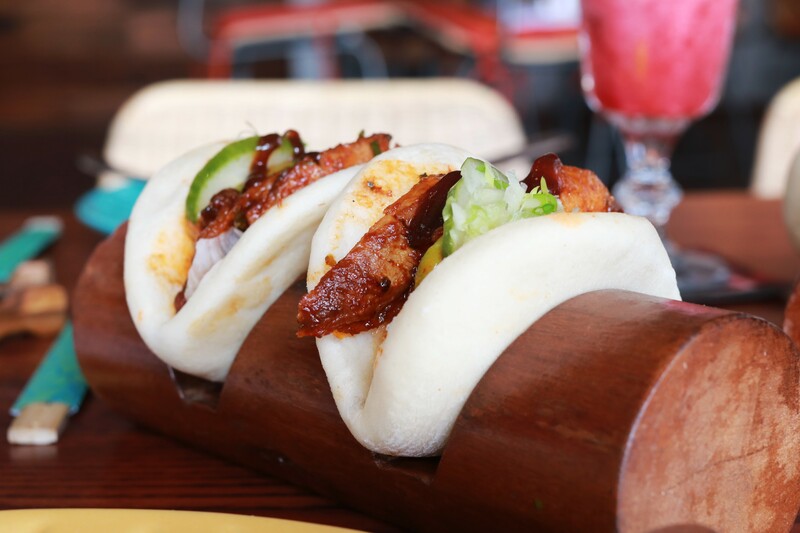 The Fatty Bao is credited for giving a mouth-watering makeover to the humble steamed bun or Bao with modern flavours and fillings. The menu however has a lot more than just Baos. 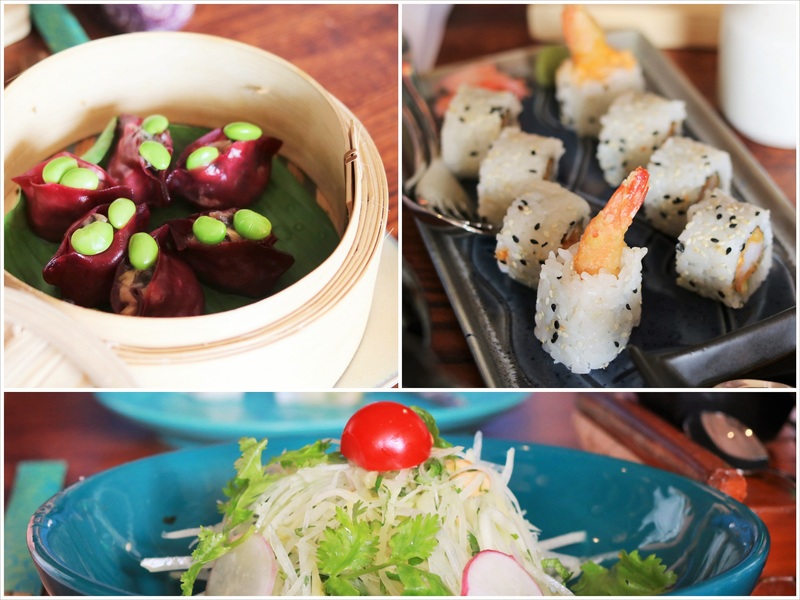 Think sushi rolls, dim sums, salads, hearty bowls of ramen, robatayaki, asian curries etc. We started off our tasting session with sushi rolls, dim sums, four varieties of Baos and salads. 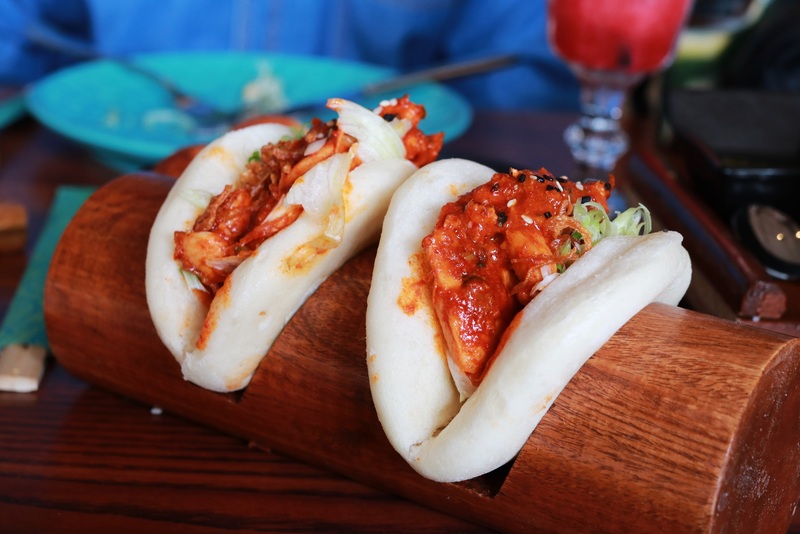 The Char Siu Bao, filled with pork belly and green apple kimchi, and flavoured with BBQ sauce was my favorite followed by the spicy Grilled Sambal Chicken Bao which has a sambal, soy, lemongrass and scallion filling. For those that love spicy food, the Yum Nua or Thai Beef Salad – a mix of cherry tomatoes, bird’s-eye chillies, cucumbers and herbs tossed with flash-seared fillet is a must try. I also loved the Duck Nachos and fried Wasabi Prawns. Vegetarians will love the Wild Mushrooms and Truffle Oil Dim Sum, Baked Wanton Cups filled with stir fried corn kernels, water-chestnut, edamame and scallion, Brie Tempura, Exotic Mushroom Ramen and Lotus Root in Thai Green Curry. 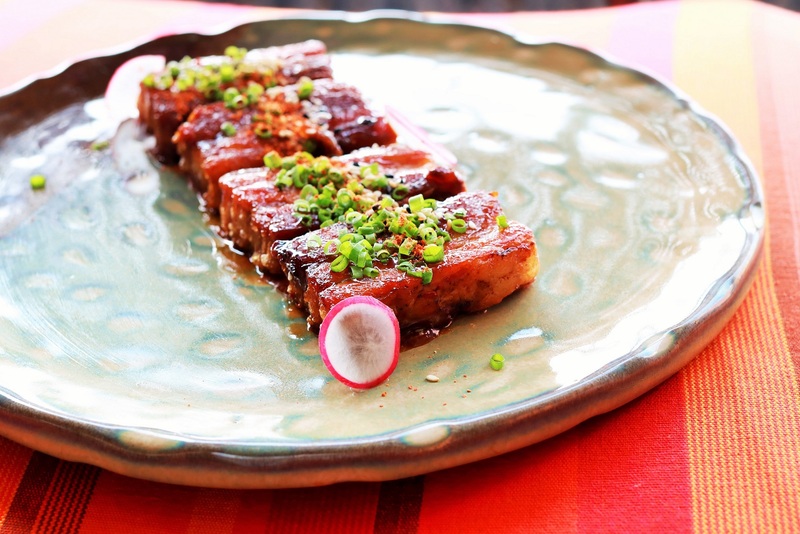 Pork lovers, visit for the PB & J – four twice-cooked slices of pork belly, rendered down to the perfect ratio of meat to fat, glazed with a hint of sweet and savoury miso. 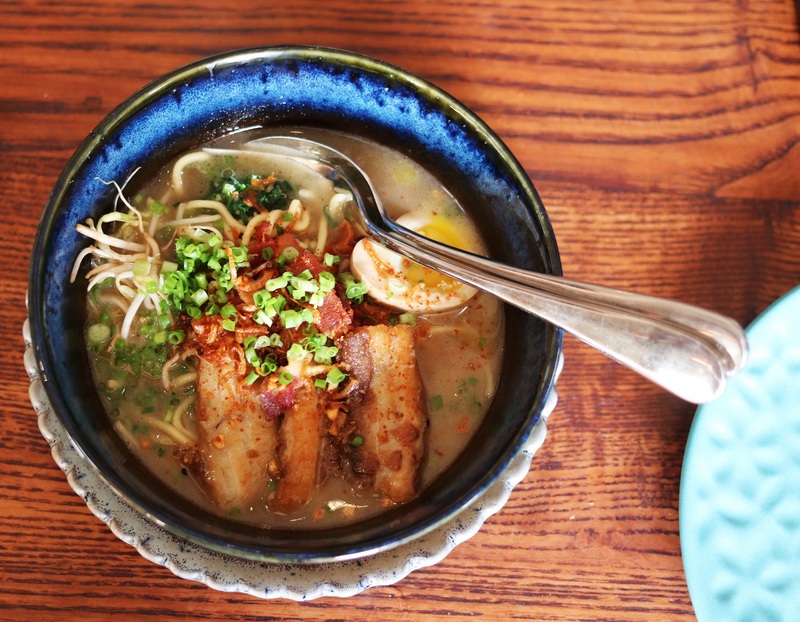 And perfect for this season is a hot bowl of comforting Chasu Ramen with slow cooked pork stock, bacon, soy and fresh garlic. 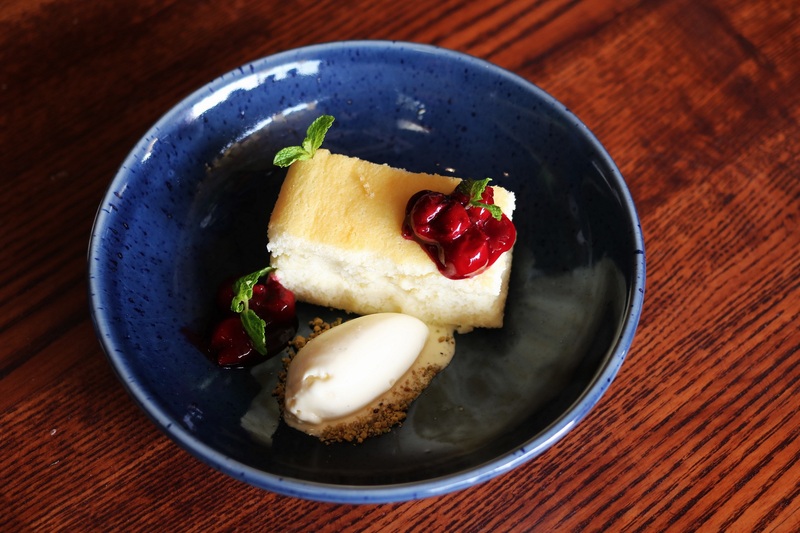 The dessert selection at The Fatty Bao will make all the fatties and non-fatties very happy. 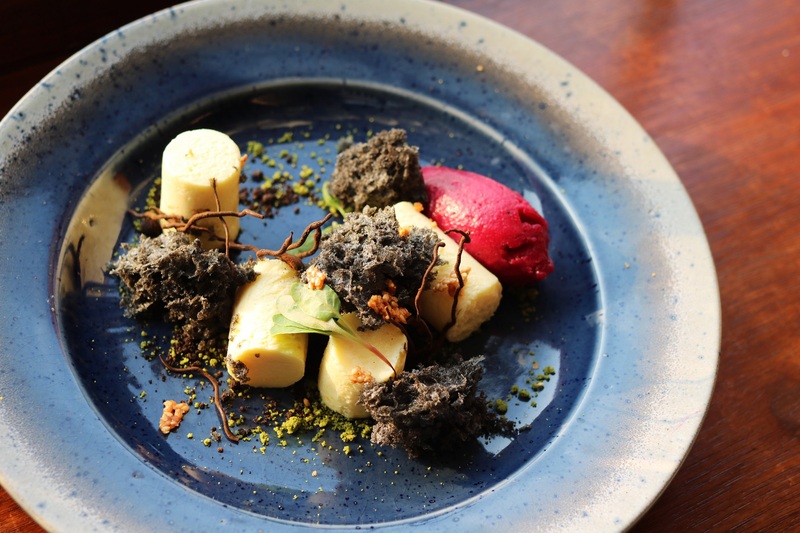 Zen Forest is an exotic presentation of yuzu parfait, black sesame sponge, green tea moss, beetroot and black pepper sorbet, sesame nougatine, chocolate twigs and microgreens, while the Japanese Cheesecake is a light, fluffy, soft cake with sour cherries and vanilla ice cream. 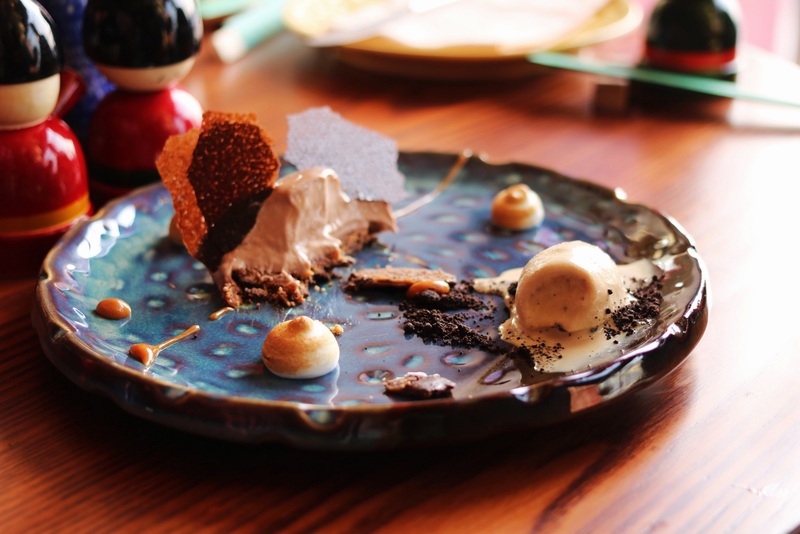 And if you’re a chocolate lover, have the Cocoa Caramel – a mix of milk chocolate cream, hazelnut praline crisps, flourless chocolate cake, toasted meringue, salted caramel gel and salted caramel ice cream that will take you straight to chocolate heaven. 8th Floor, 901A, Fort Knox Building, Camac Street, Kolkata.